Beckham is majored in management, with concentration in operations and supply chain. In addition to being a Customer Service Manager at Wal-Mart, he is the Senior Vice President of the Operations and Supply Chain Organization at Purdue. He has received Semester Honors three semesters in a row for having a GPA of 3.5 or better and he directly influenced a monthly sales increase of 5.2% for the electronics department in one of the months prior to his promotion at Wal-Mart. Ivan, prior to coming to Krannert for his MBA, has worked 8 years in the field of manufacturing, mostly in the Procurement and Planning side of Operations. Ivan has worked with what is now known as Regal Beloit in Mexico, and his past job was the Planning Manager in Schlumberger. In that company, he had the opportunity to be in the startup of the manufacturing facility in Mexico and be part of the core planning team for this operating plant. As a first year student, he is looking forward to enrolling in the automotive industry due to their tight production/schedule policies and to further his knowledge in the subject. Ivan currently has a desire to explore the operations program that Krannert offers and would like to round that with some Corporate Finance classes. Mirant, prior to coming to Krannert, has worked in the manufacturing sector with one of India’s largest engineering conglomerate, Larsen and Toubro in its shipbuilding industry. At L&T, he worked as a naval architect in the design of the Navigation and Communication systems. His work role required him to work in several cross functional teams in domains such as strategic sourcing, procurement, inventory management, and project management. He seeks to leverage his skills and domain knowledge to launch his career to the next level to have a more strategic impact on operations and supply chain strategy. Yeshvanth is currently pursuing his MBA at Krannert with concentration on Operations and Consulting. Yesh has done his Bachelors of Engineering in Information Science and Technology. After his graduation, he worked in IT consulting and services field for more than six years. His last assignment was at Oracle where helped his clients to design and strategies their supply chain and manufacturing systems. Dawei is a junior in Industrial Management. Born in China, he has witnessed the rapid economic development in China and is determined to be an entrepreneur in his home country. He is concentrated in operations and is planning to pursue a master degree in supply chain management after completing his undergraduate study. He has done internship in Social Science Academic Press in Beijing, where he worked as assistant for the head of Humanity Science Department. Haotian is a senior in Industrial Management with a minor in Computer Science. He is very interested in operations and supply chain management and would like to find a summer internship in related areas. He has worked as an intern in China, where he did inventory management, website design and build, and customer service. He has a car team in Purdue, named Venture, and has organized several events for our members. He is also a Global China Connection officer in Purdue. Hua obtained his bachelor degree in optoelectronics in 1998 and a master’s degree in international business in 2004. After that, he worked 6 years as technical sales and 2 years as account manager. He would like to pursue a position in supply chain and operations management to gain insight of the company and bridge his knowledge on sales marketing with operation and supply chain experience to get overview at higher general management level. William is a senior studying Management with a concentration in Operations Management. He completed an internship with John Deere in the area of Supply Management in summer 2012. He has also accepted a full time job offer from John Deere and plan on completing the rotational program. His goal is to eventually become a manager and have a successful career at John Deere. Arjjodev had 7 years of work experience before coming to Krannert. He initially worked as IT Strategy Consultant with PriceWaterHouseCoopers. Later he joined Cognizant Technology Solutions and worked Program Manager in Chicago for Walgreens Co. He was responsible for strategic planning and engagement management for a portfolio of projects. He has also led a social service enterprise for a while in India helping underprivileged students financially and otherwise to continue education. At Krannert Arjjodev is focusing on Operations and Strategy, and he is hoping to get an internship which will give him exposure to operations and business strategy. Pradeep is an MBA student with concentration in Operations management. During his past work experience he has analyzed current processes and practices, developed and deployed direct operational strategy that supports the goals of the business units including process standardization, base and variable cost reduction, transaction cost removal and process digitization that meet the annual operating plan. He is looking for a challenging position which can utilize my experience in process improvement, business development and leadership to solve problems in an effective/creative manner. Ogochi is a first year Krannert MBA student. He has a bachelor's in Electrical Engineering and 5 years of work experience predominantly in engineering, manufacturing, supply chain and business development. His interest areas for this business degree are operations, marketing & strategy. Tingting is a first year MBA student with a concentration in Operations and Supply Chain Management. Before coming to Krannert, she had five years international working experience in the Supply Chain Area. In BenQ China, her work led to 42% Digital Cameras inventory reduction as a material planner. In Seagate China, she worked with 40 suppliers and managed $3 million programs as a purchasing specialist. She worked for Seagate Singapore for two years. Working with clients from Thailand, China, Singapore, Malaysia and US, she expanded the market allocation from 50% to 80%. Her experience in planning, purchasing and sales gave her a good understanding of supply chain. Manigandan is a first year MBA student who plans to pursue a career in global supply chain management and to be able to formulate strategies to optimization business processes. He is a result oriented and self-driven problem solver. He has received ASQ Certified Six sigma green belt and PMI Certified associate in project management, as well as Delivery Excellence award. Vijay is a second MBA student at Krannert School of Management. Prior to joining the MBA program, Vijay was managing 4G-LTE telecom products in a Japanese company in Tokyo. In the summer of 2012, he was in Washington-DC for his internship with a Switzerland-based telecom company. Vijay is currently involved with Operations club and Boiler-Volunteer-Networks at Purdue. In his free time, he enjoys cooking, reading literary travelogues, and studying cultures and languages. Vijay also speaks Japanese, which he learnt in Japan by going to weekly social gatherings. Bharat is a 1st year MBA student with concentration in Supply Chain and Operations Management. After learning product development and process improvement practices with six-sigma green belt in General Electric, he gained extensive practical knowledge of business operations through his engagement with a start-up product distribution company called Boond Engineering. As the Vice President of Operations and Business Development, he developed procurement strategies and built servicing infrastructure for renewable energy products in rural market of India. His work positively impacted the lives of 40,000+ poor people and for this leadership role; he was given Youth Changemakers award from Ashoka Mexico and Central America Chapter. He wants to extend his career in Supply Chain and Operations domain and currently, looking for a summer internship. Hannah is an MBA with concentration in Supply Chain and Operations Management. She is focusing on Procurement on her career path. Before attending Krannert, Hannah worked for IBM China as a salesperson for five years and achieved outstanding business result. Ashley is a first year MSHRM student at Krannert. She is now looking for summer internship in Human Resource especially in talent acquisition and human resource strategy. Ashley’s goal is gain experience in human resource management for two to three years and become a consultant. Chastapon is an undergraduate student in School of Industrial Engineering with three minors of Economics, Mathematics, and Statistics. He is currently in his junior year. His specific interest included enterprise resource planning and implementation particularly in supply chain aspects. Chastapon’s future plan is to be a venture capitalist focusing on emerging markets including Africa. In my time at Purdue University I have been an active member in not only the class room, but extracurricular activities as well. I am very involved in leadership positions with both the Association of Industrial Management Students (AIMS), an organization designed to assist in insuring that the students in the Industrial Management Major are continually the best and brightest of Krannert, and the Purdue Sailing Team. 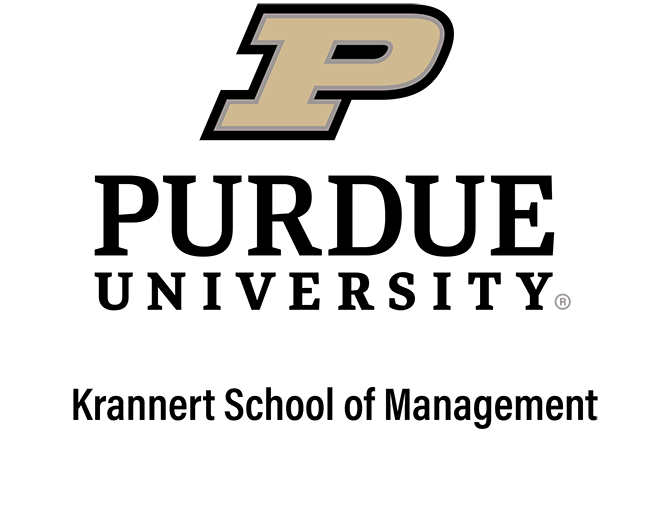 My time here at Purdue I has been very demanding whither it was classes, being involved working to help with college expenses, or working toward finding the right career and I would not trade any of it. BOILER UP!